What to do with old clothes? 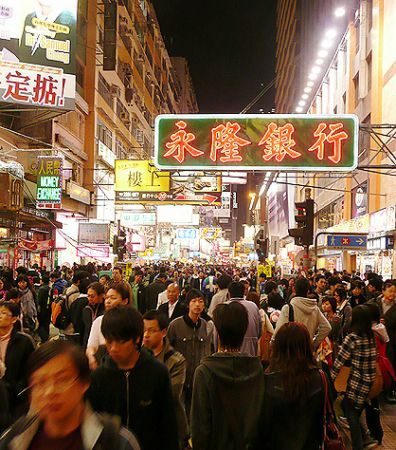 Shopping is Hong Kong’s number one pastime. Walking the streets, even visitors from big cities like New York are amazed at the number of retailers. The shopping opportunities that present themselves throughout the day are innumerable. Brands galore compete for your eyeballs whether you’re looking for something, or simply going about your routine. Clothing is one of the major categories of the items for sale. Hong Kong is both a cheap and high-end clothing paradise. One problem that arises after time – what to do with all your old clothes? Hong Kong apartments are relatively small, and perhaps more than in other cities, occupants are in a constant battle to maintain closet space. One of the first things to go is old clothes. Over the years I’ve heard from friends who’ve wanted to donate clothing but couldn’t find a place to do it. One particularly indecisive friend drove around with the same bags of clothes in the trunk of his car for years! Certain seasons appear to be prime time for donating. For example, right before Chinese New Year people clear their apartments of clutter and throw things away. During this season you start to see make-shift drop zones for old clothing in neighborhoods like Mid-Levels. The containers usually resemble a basic metal cage that leaves the donated goods out in the open. I’ve never liked the design much since it’s not immediately apparent what it’s for. I’ve also seen donated clothing getting rained on as well as people dumping garbage into the designated boxes. Walking down from Conduit Road along the escalator walkway, I spotted a new type of used-clothing collection bin yesterday. It was situated on the elevated passageway just above Robinson Road. Not only is it a better design because it protects the donation, but it’s also colorful, which works as advertising for the recycling program – an added bonus. To find a drop-off point near you, check out the list midway down the page under the title “Permanent used clothes collection point“. Why are there so few vintage stores in Hong Kong? There are several reasons why vintage clothing stores or thrift stores aren’t popular. The first is a basic rule of Hong Kong – expensive rent! With space so precious and rents so high, it’s hard to make money from selling new clothes, let alone used clothing at lower ticket prices. Part of the reason people buy clothing is specifically to have something brand new. This has to do with the concept of face. The quest to be perceived of as in style or “trendy” is another component that helps fuel buying. With the city’s landscape dominated by shops and major housing developments constructed around shopping malls, the drums of consumerism and the marketing of “new” run at a constant beat. Due to these factors, vintage shop culture has never flourished. Happy holidays from Hong Kong Hustle! Next articleKrump Kings descend on Dragon-i! Vintage store and vintage clothes are very trendy in Paris, where I am from..
No, there’s no easy way for you to purchase used clothes from Hong Kong. 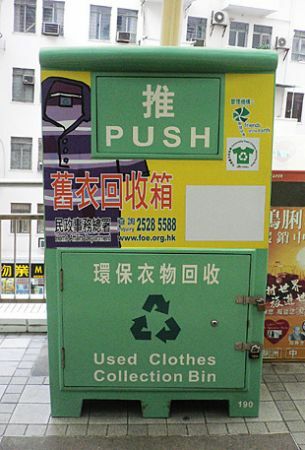 It would be a good business though because Hong Kong people don’t like used clothes. Some people believe that things like bad luck are transferable through possessions. Plus, again, for face reasons, ‘new’ is better.